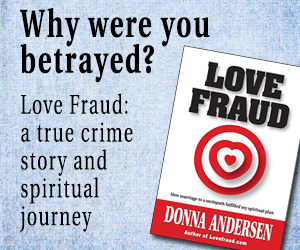 Another in the series of Q&A articles with members of the Lovefraud Professional Resources Guide. 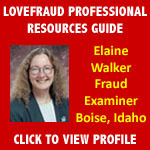 Elaine Walker is a private investigator and certified fraud examiner based in Boise, Idaho. Q. 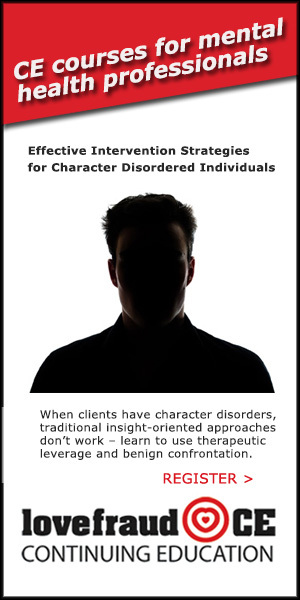 What experience have you had dealing with sociopaths or other disordered personalities—personally, professionally, or both? 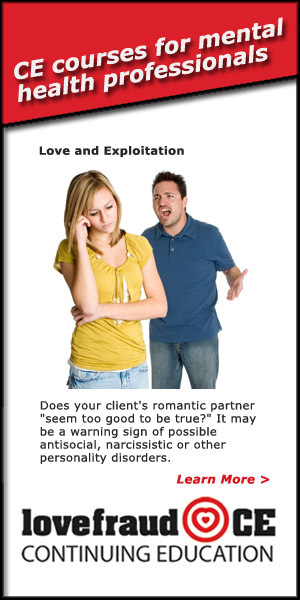 A. I first discovered LoveFraud.com while I was preparing to teach an online dating safety class at the local night school. Reading through the traits of a sociopath made me realize that my troublesome next door neighbor fit the description exactly. We’ll be moving in the next few months to get away from this toxic neighbor. 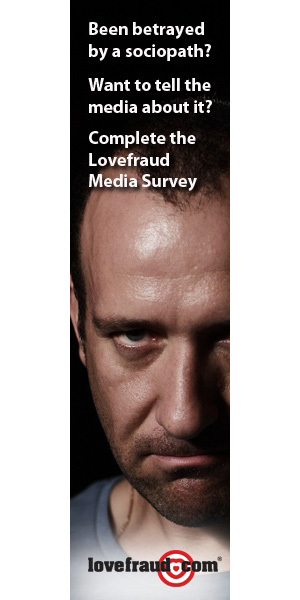 Finding LoveFraud.com also made me realize that I had dated a few sociopaths in the past. Fortunately, they didn’t get a lot of money out of me and I was rid of them before they did too much damage to my life. Q. 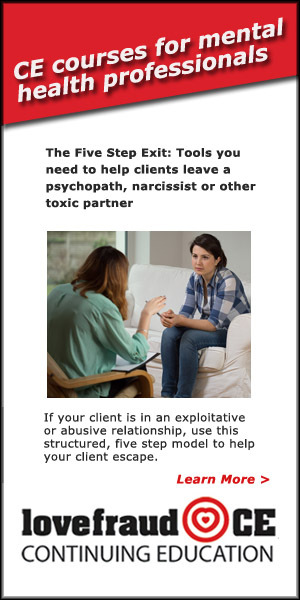 How do you go about helping clients who have tangled with a sociopath? A. 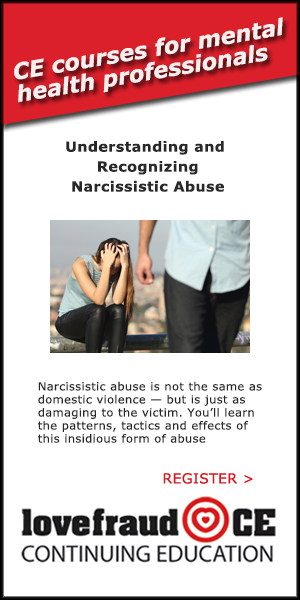 The first order of business is to lock down the victims finances and do what’s needed to get the victim back on track financially. 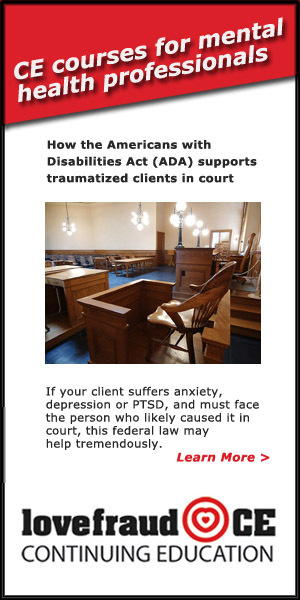 A review of financial documents and asset searches will help determine how much the perpetrator took from the victim and will aid in possible restitution. Q. What, in your experience, is the biggest issue or problem that people who have been betrayed by a sociopath need to overcome? A. 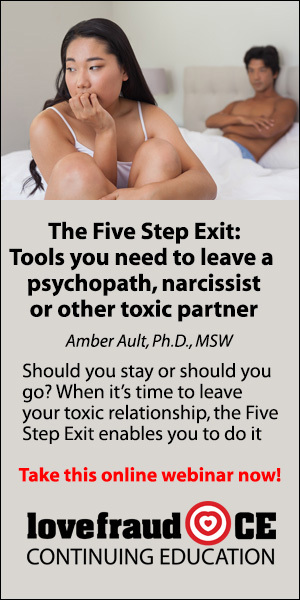 The biggest issue is overcoming the emotional betrayal. For those who have been financially ruined, that’s a huge issue to overcome as well. 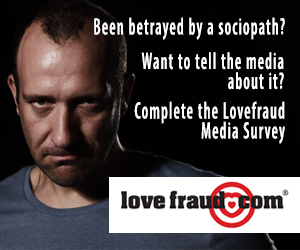 Q. What’s one tip you can suggest for helping Lovefraud readers recover from the betrayal of a sociopath? A. As hard as it may be, go No Contact. Period. Welcome to LoveFraud, Elaine…good advice. 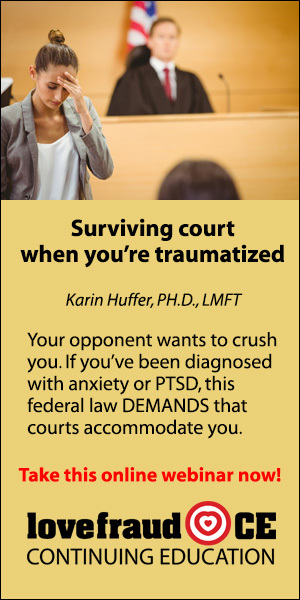 NO CONTACT, and dealing with the effects of the betrayal, as well as the PRACTICAL aspects of recovering and protection from financial devastation. 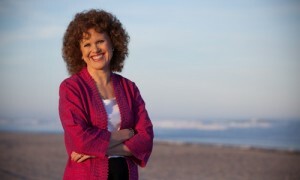 Elaine, thank you for your Q&A’s. Too bad I didn’t know about this type of service after I discovered the exspath’s frauds. NO CONTACT is vital, and I agree with the “lockdown” of finances, 100%. I’m actually laughing out loud at how easy it was for the exspath to defraud me! LMAO!!!! 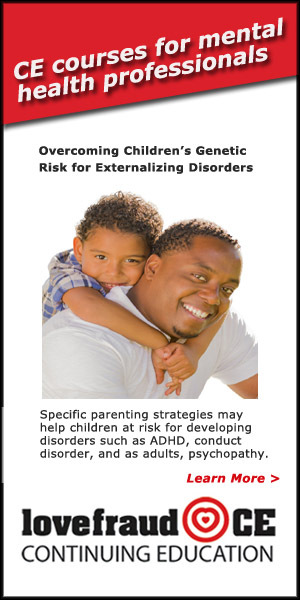 Yes, inform, educate, and HELP people to prevent them from ending up like me!